Congress sent President Trump a bill that virtually halts any more construction on the border. Democrats and their RINO allies submitted just $1 billion for border security denying any funds to increase agents and putting such restrictions on building any barriers that they can only be the Obama era short fences that are easily jumped. President Trump has declared border protection to be a national emergency. In response, Speaker Pelosi threatened that the next Democrat president would declare a national emergency to overthrow the 2nd Amendment and confiscate all guns from citizens. 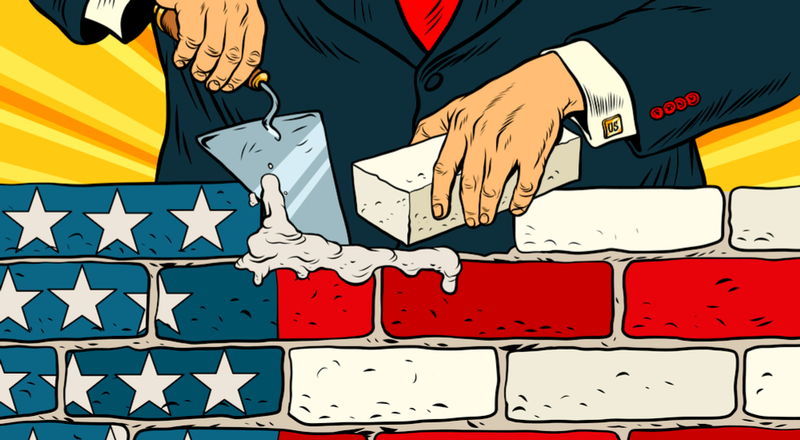 Christian conservative Republicans declared in one voice, “Finish the Wall!” and “MOLON LABE!” If President Pelosi, et al, try to declare an emergency to overthrow the Constitution, we believe she and her cohorts would look great dangling in nooses from the White House balcony. Pelosi threatens Trump that Democrat President could declare an emergency to seize guns! The next two years will see ZERO cooperation between Democrats who want to institute socialism and President Trump who is striving to save America. The president had better launch a nationwide campaign to inform and educate all the people of Democrat’s actions and intentions every day. At the same time, he must institute severe voter restrictions to prevent Democrats from using provisional ballots that are just multiple illegal votes from Democrat operatives, felons, and foreigners. Election year 2020 is going to be explosive as the anti-America forces of the leftist Democrat Nazi Communist Party vie against American patriots of the Republican Party. The future of America will be decided by voter fraud or rightful voter laws to either open the border to invading democratic socialists; Latino-communists and Islamo-Nazis joining forces with liberal-fascists or be saved by the American patriots who they are trying to destroy.